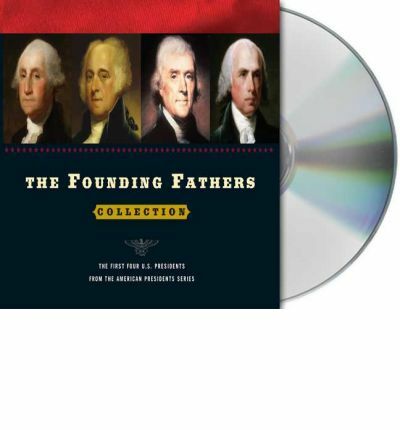 The Founding Fathers series includes: George Washington by James MacGregor Burns and Susan Dunn In this thoughtful and incisive biography, Burns and Dunn dissect the strengths and weaknesses of Washington's presidential leadership, from his lasting foreign and economic policies to his polarizing denunciation of political parties and his public silence about slavery. John Adams by John Patrick Diggins Perhaps no U.S. president was less suited for the practice of politics than John Adams. A gifted philosopher who helped lead the movement for American independence from its inception, Adams was unprepared for the realities of party politics that had already begun to dominate the new country before Washington left office. But in this program historian John Patrick Diggins reveals a John Adams whose reputation for snobbery and failure are wholly undeserved, and whose prescient modernism still holds valuable lessons for us as we strive to fulfill the Founding Fathers' vision of a fair republic and just society. He is, in Diggins's view, the president who comes closest to Plato's ideal of a philosopher-king. Thomas Jefferson by Joyce Appleby Few presidents embody the American spirit as fully as Thomas Jefferson. His vision and unrivaled political imagination account for the almost utopian zeal of his two administrations. However, contradictions in his populism make Jefferson the most controversial of presidents: he spoke of inalienable human rights, but he taught his daughters that women were created for men's pleasure, and he believed that whites and blacks could never coexist peacefully in freedom. Jefferson described his election to the presidency as a second American Revolution. For the first time, historian Joyce Appleby rigorously explores this claim. She argues that our third president did, in fact, radically transform the political landscape of the United States by limiting the power of the government and eradicating the elitist practices inherited from the colonial era. James Madison by Gary Wills The eternal conundrum about James Madison--a key framer of the U.S. Constitution, a formidable political figure, and a man of tremendous intellect and foresight--is why, when he became chief executive, did he steer the ship of state with such an unsteady hand? Why was this man so lackluster and ineffectual in his tenure as president? Renowned historian Garry Wills outlines the confluence of unfortunate circumstance, misplaced temperament, and outright poor judgment that bogged down Madison's presidency. About the Author: James MacGregor Burns is the Woodrow Wilson Professor of Political Science Emeritus at Williams College. He is the author of numerous books including the Pulitzer Prize-winning Roosevelt: The Soldier of Freedom. Susan Dunn is a professor of literature at Williams College and is the author of many books, including The Three Roosevelts (with Burns). Burns and Dunn live in Williamstown, Massachussetts.